Country Music Legend Margie Singleton Releases "Heaven or Hell"
The 82-year-old Atlanta Country Music Hall of Fame and Independent Country Music Hall of Fame singer-songwriter has released "Heaven Or Hell." MTS Management Group will handle publicity and promotions. 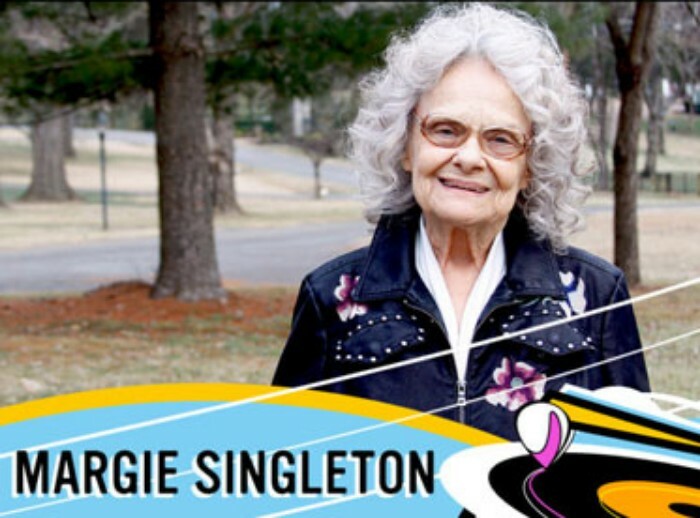 NASHVILLE, TN, UNITED STATES , September 4, 2018 -- Earlier this year, at age 82, country music legend, Margie Singleton released her chart-topping single and video, "Jesus Is My Pusher." The video earned an LA Music Video Award, and Margie was inducted into the Atlanta Music Hall of Fame and the Independent Country Music Hall of Fame, proving that age, really is, only a number. "A couple of months ago, my associate pastor Brother Kent Riddle said he was planning a revival about the consequences of hell, and asked me to write a song about it," said Margie. "Well, I had to do some praying right there because that (to me) was a 'mighty mission.' I asked God to help me on this...and He sure did!! It came directly from Him! I wrote it down on paper, but God used me as His vessel and allowed me to record it for His will and purpose. I hope you all will enjoy it, and I hope those who are not yet believers will hear it and come to Jesus while they still have time." Watch "Heaven or Hell" at https://www.youtube.com/watch?v=xh4rXkuzZh8. Legendary country singer-songwriter, Margie Singleton was a pioneer at the forefront of country music in the 1950s and '60s. During her career, Margie recorded a total of 9 Top 40 Billboard country singles, including her biggest hit, "Keeping Up With the Joneses," a Top 5 hit with Faron Young. Margie's hit, "Old Records" was a Top 10 smash on Cashbox and Record World, two of the most influential charts of the day. She was the first female artist to record a full album with George Jones, 14 tracks in all, including two of Margie's original songs, and she was a backup singer for The Jordanaires. In 1967, Margie's husband, Leon Ashley had a #1 Billboard Country hit, "Laura," a song they penned together. Margie's songs have been covered by fellow legends like Charley Pride, Tom Jones, Kenny Rogers, Tammy Wynette, and many others. Margie Singleton "Heaven Or Hell"